This story is part of a series about the Asian Americans who traveled to Selma, Alabama for the 50th anniversary of “Bloody Sunday,” the Selma-to-Montgomery march and the passage of the Voting Rights Act of 1965. Click here to view the rest of the series. 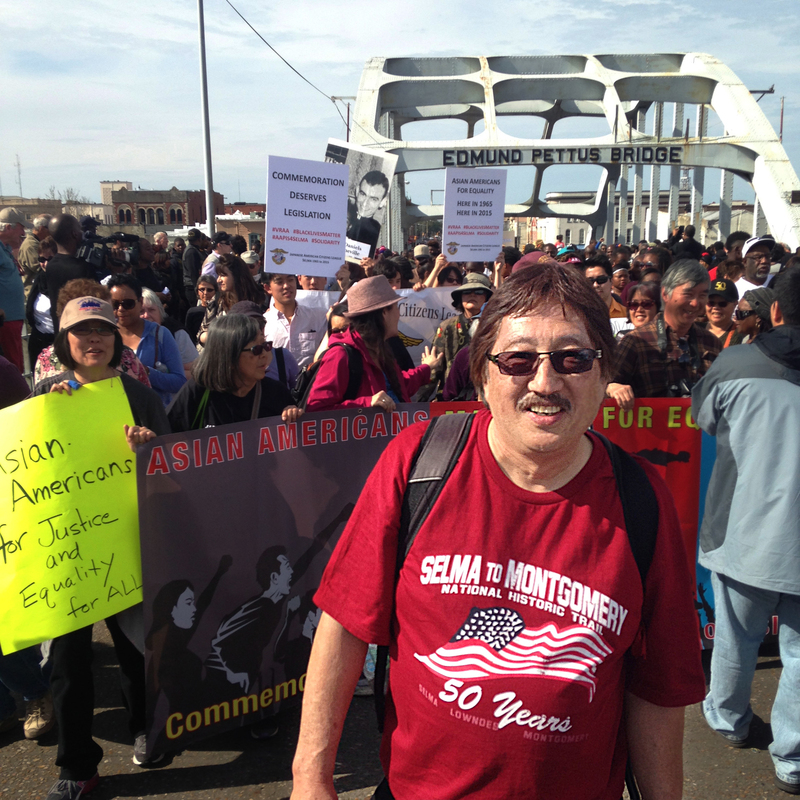 In 1965, I was too young and unaware to take part in the march from Selma to Montgomery. A few years later, when I first got politically involved in the Asian American Movement, I was greatly influenced by black people’s struggle for justice and equality. I have to say, initially I identified more with Malcolm X and the Black Panther Party than with the non-violent civil rights movement centered in the South. It wasn’t until much later that I learned to appreciate the role that Dr. Martin Luther King, SCLC (Southern Christian Leadership Conference) and others played, and how Malcolm X and King were really two fronts in the same struggle for political power, economic equality and social justice. During the few days I spent in Selma and Montgomery this past March, I learned so much about the Civil Rights Movement and about the roles of the church, the women in the movement, of young people, of iconic leaders like Martin Luther King, and of the foot soldiers and of countless supporters, both black and white. Yet, even after 50 years, race relations in Selma and other parts of the South (and most likely the North, East and West) are complex, layered, nuanced and paradoxical. It seemed that it can at once be genuinely brotherly/sisterly, but also too often raw, undisguised and antagonistic. Over the years, while I continued to be active in South Central L.A. and in Little Tokyo, the events of last summer (spate of police killings across the country) underscored the persistent inequalities and injustices that remain. When New York cops put an illegal chokehold on Eric Garner and Ferguson police killed unarmed Michael Brown, it brought to the forefront a history of systematic oppression of black people and a pattern and practice of police brutality. To quote Martin Luther King, “The arc of the moral universe is long, but it bends towards justice.” We need to continue to work for justice for all, no matter how long it takes. At the same time, President Obama is fond of citing another MLK quote: “We are confronted with the fierce urgency of now. In this unfolding conundrum of life and history, there is such a thing as being too late. This is no time for apathy or complacency. This is a time for vigorous and positive action.” I agree with this. We should all embrace this fierce urgency of now. Undoubtedly, significant changes have taken place in this country, mostly through the hard-fought efforts of leaders, activists and masses of ordinary people who struggled to bring about change. But less than a month ago, a mass shooting took place at Emmanuel African Methodist Episcopal Church in Charleston, South Carolina. 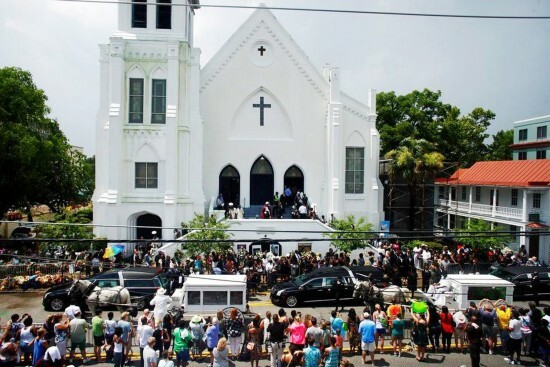 Nine black churchgoers, including Pastor Clementa Pinckney, who was also a state senator, were gunned down by Dylann Roof, who was later discovered to be an adherent of white supremacist views. Against the backdrop of a number of high-profile, videotaped police shootings of unarmed black men in cities across the country, many are questioning “how far we have really come” in race relations. In 2015 alone, 574 African Americans were killed by police in circumstances in which violence might have been averted. Can it be said of each incident that it was just a case of “a few rotten apples” in an otherwise passable basket of law enforcers? Or are these statistics a reflection of systematic practices, policies and culture of law enforcement that treats blacks and other minorities with disdain, animosity and bigotry? Is Dylann Roof a lone, introverted, mentally ill gunman, as the media portrays? Or does the mounting evidence of his ideology point to a broader, societal intransigence and inability/unwillingness to face the need for systemic changes in the way blacks and other minorities are viewed and treated? The events in Selma in 1965 are, in my view, inextricably tied to the recent events that have again victimized Black America. Without doubt, the black struggle for civil rights, political power and economic equality will continue. Japanese Americans and others who have benefited from the repeal of discriminatory laws and practices brought up by their struggle must also take a part in achieving social justice for all.